Nice Episerver addon that adds menu items to the QuickNavigationMenu when logged in on public site, link to admin, link to ContentType, and logout. Episerver Forms is getting stronger. 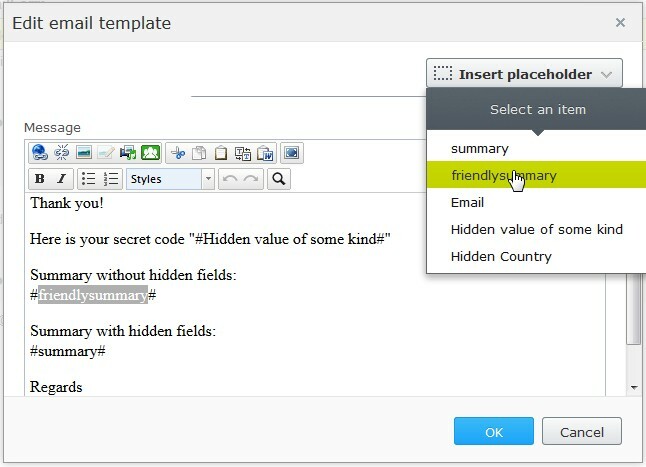 Here is a example of the how to customize the summary text with PlaceHolderProvider that is available in version 4.4.